Culture Infusion is your guide to improve corporate culture and motivate your employees to perform at their highest capacity. Culture Infusion is for leaders and aspiring leaders who want to build a legacy, shift perspectives, and lead by example so others are inspired and driven to be their best selves. Whether you are a top-level executive or lead a team, you will find valuable insights in this book on how to create and maintain a sought-after workplace. You’ll learn how to infuse culture in all aspects of your organization, from your people to your programs, and how we must thrive personally in order to lead others. Culture Infusion provides nine easy, actionable principles that helps you develop a customized game plan that’s right for your company. You’ll discover helpful tips and tricks to catapult your team to success and improve corporate culture, including the three A’s (Accountability, Acumen, Aspiration) that will aid in goal and performance setting, and the 3P method (Pause to Pivot to a Positive) that will change how you view every challenge and communicate more effectively. Order via Amazon. Learn more on the book's website. The Pile of Smile Activity book was created for children of all ages to promote creativity and imagination. As children write, draw and play, wondrous things happen. I wanted to find a way to give back to as many children as possible with our organization. Knowing that children are limited with activities when undergoing cancer treatment, I decided to develop an activity book to spark creativity and imagination. At an early age, I was personally touched by my dear friend Jennifer Lynn Kibler who passed away at the age of 17 of cancer. Jennifer has forever left a meaningful impact on the world and I know she would love that we are giving these books away for free. All proceeds from the book support the efforts of Pile of Smile and are distributed for free to kids undergoing cancer treatment. 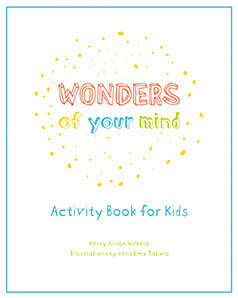 Wonders of Your Mind is a second edition to the Pile of Smile book so Kerry could distribute more free copies to kids all over the world that need a mental boost --whether they are hospitalized, at a homeless shelter, or in some other way less fortunate. Kerry’s intention is to spread as much love as Jennifer brought to this world. 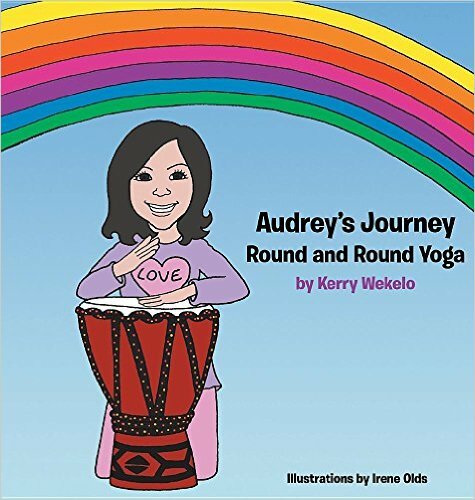 Audrey's Journey series was created to support my love of teaching kids about yoga, mindfulness, love and compassion. 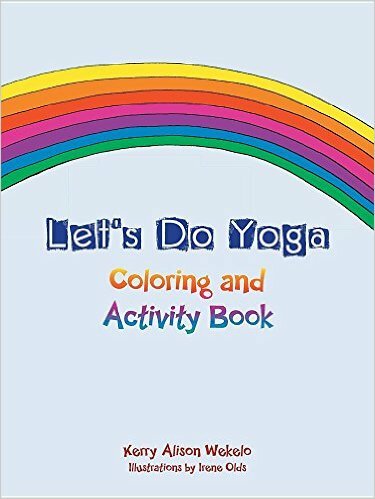 The Activity Book I use as a tool in my kid's yoga classes (K-6) to introduce basic concepts. 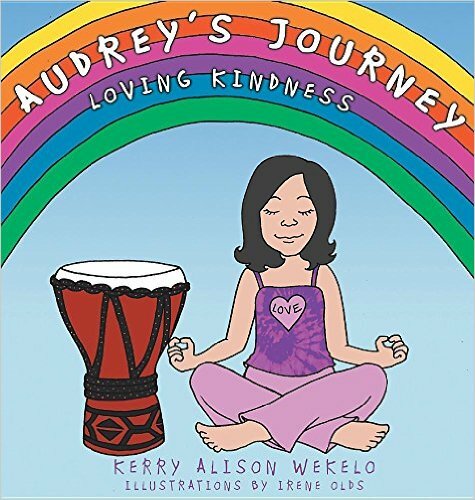 Loving Kindness is how I introduce spreading love to ourselves and others (K-6). 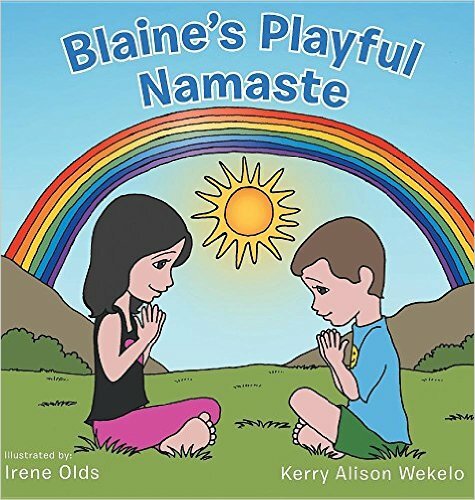 Round and Round Yoga and Blaine's Playful Namaste are for 3-6 year olds to teach yoga.